Five experienced blues musicians fan the flames, blowing in gusts on the glowing members of their shared passion. Under the artistic direction of producer Vincent Beaulne (vocals, guitar, slide guitar), Marco Desgagné (bass), Gilles Schetagne (drums), Laurent Trudel (vocals, guitar, harmonica and banjo) and Dave Turner (alto and baritone saxophones) set the 12-bar chord progressions ablaze with their intense and masterful playing. This is blues at its best: original, torrid, vigorous, reaching a fever pitch with their wild rides across the pentatonic scale! They have performed many times on the stages of eastern Canada’ major festivals (Montreal International Jazz festival , Tremblant International Blues festival , Edmunston Jazz and Blues festival ). They have been nominated in the best cd and best writer-songwriter category at the Lys Blues awards in Montreal also in the best new bluesband in Canada category at the prestigious Maple Blues awards in Toronto. They have three cd’s on the market and reviews have been great. Original Blues at its best is the general consensus! Words that revel in the everyday, words of great simplicity but oh, how powerful. A torrent of emotions! A whole range of them! Blues Delight love to perform and share with their audience, large or small, the feeling of the Blues. They are known to leave their audience happy and satisfied. A Blues Delight show will have you tapping your feet, clapping your hands and singing on a regular basis. Just what the doctor ordered! 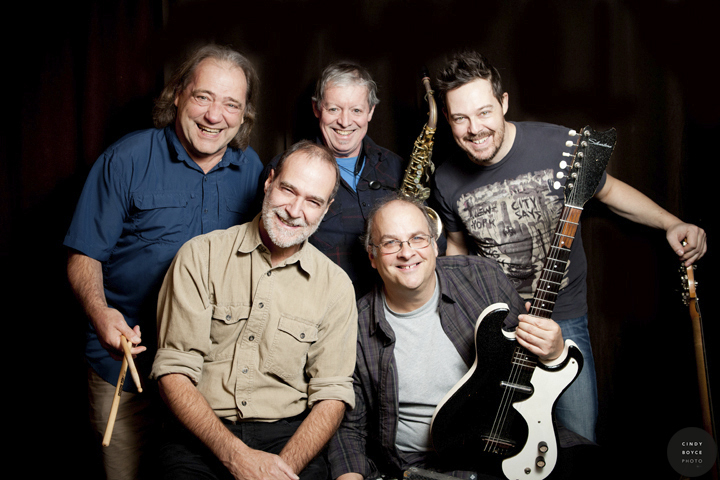 Blues Delight’s five musicians have performed thousands of time (as accompanist) with different artists. They join hands and heart in Blues Delight to bring together virtuosity, great lyrics and the love of the stage. Blues Delight invites blues enthusiasts to warm their bodies and souls to the languorous sounds of the blue notes.